Arrive Edinburgh; Transfer to your hotel is included, however. You are free to enjoy this beautiful city on your own. 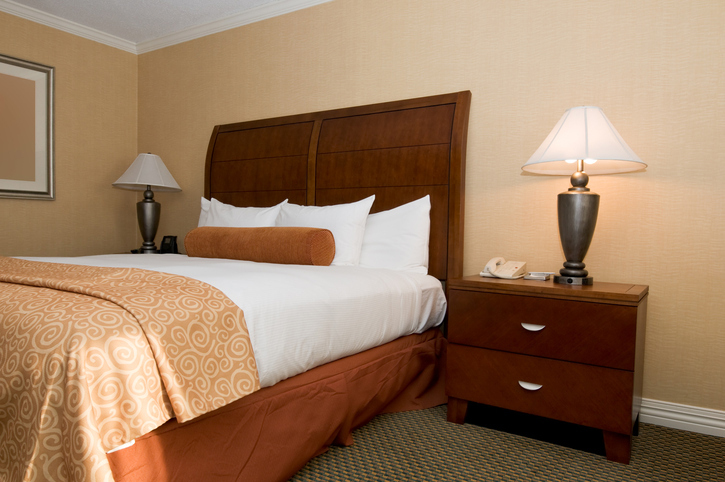 (Please note: hotel check-in is generally between 2:00 pm and 4:00 pm. If you are arriving into Edinburgh early the hotel will be happy to hold your luggage until your room is ready). Make your way to the Edinburgh departure point (see departure point information below) for 8:15 am (If you booked a departure point transfer at time of booking, your driver will collect you as noted on your voucher). Depart Edinburgh at 8:30 am. Leaving Edinburgh, we will head west through Scotland's largest city, Glasgow, along Loch Lomond then through the mountains to the beautiful little village of Inveraray on the banks of Loch Fyne. Time to explore before traveling through Argyll and into the ancient Kingdom of Dalriada. We stop in Kilmartin, to see the mysterious stone circles and standing stones and visit the community museum. From here it is a short drive to Kennacraig where we catch the early evening ferry to Islay. Ferry just over 2 hours where we can look out for wildlife such as dolphins and whales. On arrival on Islay it is a short drive to Bowmore for our three (3) night stay. We explore the southern side of the island, home to the smokiest and peatiest of all whiskies - Laphroaig, Lagavulin and Ardbeg. We visit Ardbeg for a tour, tasting and lunch (on your own). We follow that up with a visit to Laphroaig or a visit to the ruins of Kildalton church with its famous 8th Century Celtic cross. Alternatively, we may stop in Bridgend where you could visit the community craft producers at Islay House Square or take a walk through the woods along the nearby River Sorn. 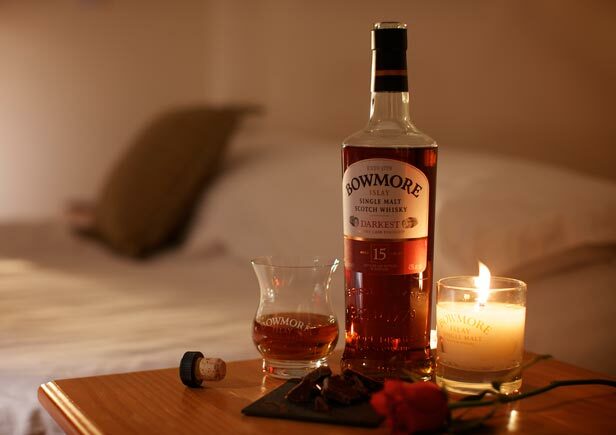 Return to Bowmore for overnight. This morning you take the ferry back to the mainland then travel through Argyll along the coast to Oban - the main ferry port for the islands, and known locally as the ‘Charing Cross' of the north. On arrival in Oban your guide will drop you at your accommodation. You will say goodbye to this group here, and will be collected by your new guide and group on the morning of day 6. You will have a free afternoon in Oban to enjoy this bustling and busy highland town. For those who are partial to some retail therapy, there are numerous shopping possibilities, or for those who wish to continue their thirst for Scottish whisky, Oban distillery is nicely situated in the heart of the town. A hike uphill will bring its own rewards with stunning views from the most photographed structure in the west, McCaig's folly. The folly built on instruction by a local banker in 1897 resembles the coliseum in Rome, and provides magnificent vistas over the distant Firth of Lorne. You will stay in this glorious highland town for 2 nights. Is an early start crossing on the ferry to Mull and enjoying an island adventure exploring her dramatic coastlines and wild beauty, before taking the small ferry to the peace and tranquility of Iona - birthplace of Celtic Christianity and ancient burial ground of Scottish Kings. Here you can visit the historic abbey with its intricate carved crosses in the churchyard or explore the rocky headlands and sandy coves of this island gem. There is also an opportunity to take a small boat out to the is- land of Staffa and view the dramatic basalt columns immortalized by Mendelssohn in his Hebridean Overture “Fingal's Cave”. You then return on the ferry to Oban for your second night. We travel north along the west coast around Appin, passing Castle Stalker and Glencoe, scene of the infamous massacre of the Clan Macdonald in 1692. We pass through Fort William and take the historic road to the Isles to catch the ferry to Skye. We travel through Glenfinnan. Glenfinnan is home to a 100-year-old viaduct, which was made famous when the Hogwarts Express steamed across it on the way to school in the Harry Potter films. From Glenfinnan the road crosses mountains and glens before reaching Arisaig and on through a spectacularly scenic stretch of coast with fantastic views of the islands of Rum, Eigg, Muck and Skye. From here we travel to the picturesque fishing village of Plockton, where we are dropped off at you accommodations in the early evening. Is a very flexible day on Skye. There are many possi bilities depending on the weather and your driver/guide will use his/her local knowledge to decide on the best day out for the group. For example: heading west towards the 13th century home of the Clan MacLeod - Dunvegan Castle, the emerald green valley of Glendale or the dramatic sea-cliffs and lonely lighthouse at Neist Point. In the afternoon the tour may concentrate on the south of the island. Spend time heading down to Elgol for seascapes and views of the Cuillin, or Talisker and its beautiful bay or perhaps Glenbrittle and its famed waterfalls. We return you to your accommodation in Plockton in the late afternoon for you to enjoy a free evening in the village. You will be collected from your accommodation for the short drive to the famous stronghold of Eilean Donan Castle, used in the film “Highlander”, set at the junction of 3 lochs as protection against Viking raiders. Then you travel east taking in the stunning views over Loch Duich and the 5 Sisters of Kintail. Continue on to Loch Ness for lunch and the possibility of spotting “Nessie”. Half an hour south of Loch Ness you will stop in the village of Spean Bridge and join a new bus for the continuation of your tour to Orkney. Your guides will help you transfer your luggage and introduce you to your new travelling companions. With your new crew you will continue north following the Great Glen travelling the entire 23 miles of the famous Loch passing by Urquhart castle. You can expect to arrive in Inverness, the Highland capital, and the place of our overnight stay at approx. 18.30 where you will be dropped off at your pre booked accommodation. Is your chance to explore this fantastic, ancient island; a land of contrasts where fertile green pastures are fringed by shores of golden sands washed by waters of the North Sea and Atlantic Ocean. You will visit the 5000 year old village of Skara Brae (older than the Pyramids of Egypt! ), the mystical prehistoric stone circle at Brodgar and the Druidic standing stones of Stenness. We stop in Stromness - one of Scotland's most picturesque seaboard vil- lages and then travel onto Maeshowe, where in the 12th century the Vikings left one of the largest collections of Norse runic inscriptions. Then it's back to Kirkwall for our 2nd night after what is sure to be a memorable day. Is a relaxed start to the day, as you leave Orkney and sail the Viking waters back to the mainland. 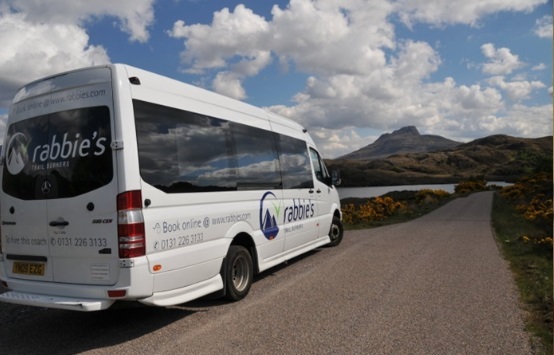 From here you travel the old road right across the very top of Scotland, driving past the stunning Ben Loyal and Ben Hope mountains following the rocky cliffs and stunning golden sand beaches of our northern coast- line. We then visit the far northwest highlands and the grandeur, expanse and wilderness of the mountains of Assynt before stopping to view the 15th century ruins of Ardvreck Castle. From here we travel to Ullapool, situated at the mouth of Loch Broom, a beautiful white-washed fishing village where we spent our last night's stay on tour. Leaving Ullapool behind you, you take in the drama of the River Droma as it plunges 60m down into Corrieshalloch Gorge, before taking in the beautiful Loch Glascarnoch, on the way past the ‘Capital of the Highlands' Inverness. You can then visit Culloden Moor, the site of The Battle of Culloden in 1746, one of the bloodiest events in our history and the last battle to have been fought on the British mainland, before taking a short drive to the ancient standing stones at Clava Cairns, made famous by Diana Gabaldon in the “Outlander” books. This prehistoric and stunning Bronze Age burial ground is one of the oldest in Scotland. From here you travel through the ancient Caledonian Pine Forest, hugging the Cairngorm mountain range. Lunch will be spent in these beautiful surroundings before travelling through big tree country of Perthshire, through the Kingdom of Fife and back to Edinburgh.